When you are buying a recruiting solution, you need to ask yourself crucial questions about what you expect from the technology and how you will use it. Since Jobvite's been in this business for 10 years, we’ve given it a lot of thought and put together a list of key questions for you to help guide your decision making process. 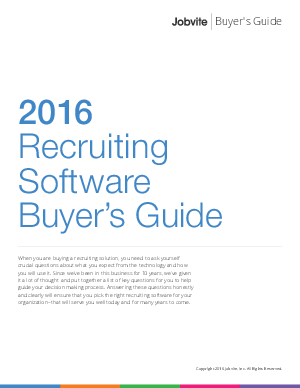 Answering these questions honestly and clearly will ensure that you pick the right recruiting software for your organization — that will serve you well today and for many years to come.